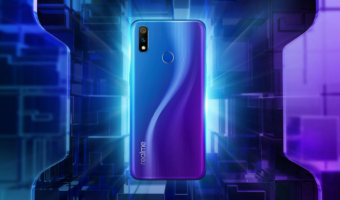 Huawei sub-brand Honor launched its first flagship of the year, Honor View 20 in India earlier this week. With the Honor View 20, the company brings eight industry-first features to the consumers. The smartphone comes with the industry first 48MP camera, punch hole display, gradient finish and octa-core Kirin 980 chipset. The Honor View 20 offers all of it for a starting price tag of Rs 37,999. This price is for the base model that comes with 6GB+128GB storage. There’s also a top end model of the Honor View 20 that comes with 8GB of RAM and 256GB of internal storage and will be available for Rs 45,999. 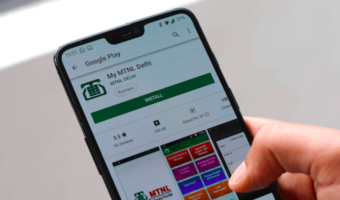 The smartphone is already on sale in India on Amazon India and Honor’s website. One of the best bits about the Honor View 20 is its design. The smartphone, like most of the recently launched Honor phones, comes with gradient finish with V-shaped light reflections which the company is referring to the chevron pattern. So when the phone is tilted on any sides, the back panel reflects V-shaped patterns. Overall, the Honor View 20 is a beautiful looking phone from both the front and back panel. The phone comes with big screen with punch hole on it for the selfie camera and the bezels on the sides are also pretty thin. Not just the outer look, the Honor View 20 is powerful even as far as the internals are concerned. The View 20 is powered by an octa-core Kirin 980 chipset which is based on a 7nm process. The chipset also comes along with Dual NPU and GPU Turbo 2.0 support. The Kirin 980 chipset is the latest software from Huawei which will compete with other high-end processors from other companies like Exynos 9820 from Samsung and Snapdragon 855 from Qualcomm. Notably, the Honor View 20 is the industry first smartphone to have been announced with a 48MP camera. The Honor View 20 comes with two cameras on the back side and includes a single selfie shooter on the front which sits inside the tiny hole engraved within the screen of the phone. As far as the camera specs are concerned, the Honor View 20 comes with a primary camera of 48MP Sony IMX586 sensor on the back and then there’s a secondary ToF (Time of Flight) camera as well. 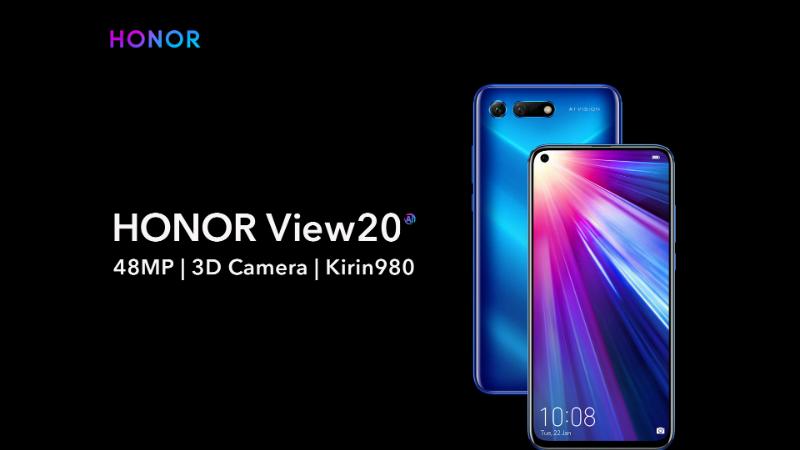 On the front, the Honor View 20 includes a 25MP selfie shooter. More and more smartphone companies are shifting punch hole display design. Notably, the Honor View 20 is the first smartphone to offer such a display which is now being taken forward by other smartphone brands like Samsung, Nokia, and others. The punch hole on the display of the Honor View 20 includes a 25MP selfie camera. Another highlighting factor about the Honor View 20 is its big battery. The Honor View 20 comes packed with a massive 4000mAh battery. Interestingly the Honor phone also supports 22.5W fast charger but sadly isn’t as fast as Huawei’s own 40W SuperCharge technology. I am confused between hardware and software now. How can kirin 980 chipset be a software or I may be wrong so please correct me.